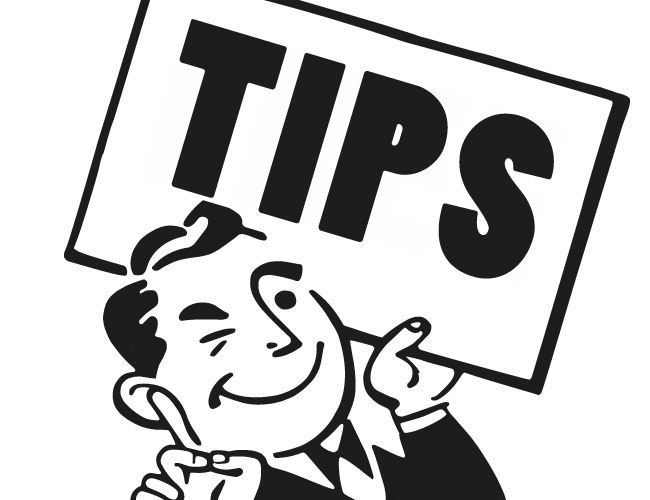 According to the Pew Research Center, 72% of people looked online for health information within the past year. Bad for doctors (because the internet diagnosis is almost always some form of cancer). Good for the sites who provide this information and make millions in ad revenue every year. Health publishers like WedMD, Lifescript and Healthline are booming. These sites bring in millions of ad revenue and sponsor money every month. Health publishers tend to have amazing SEO, and many have begun to advertise on Native networks like Taboola and Outbrain. How much traffic do they get? WebMD reports an average of 206 million unique users per month, and over 400 billion page views per quarter. How exactly do these publishers monetize their billions of pageviews? In today’s blog post, we’re going to dive into the monetization strategies for five health publishers. You’ll see which networks these use, which advertisers buy inventory directly from them, and what style of ad creatives bring in the most bucks. Lifescript is a large women’s health publisher. 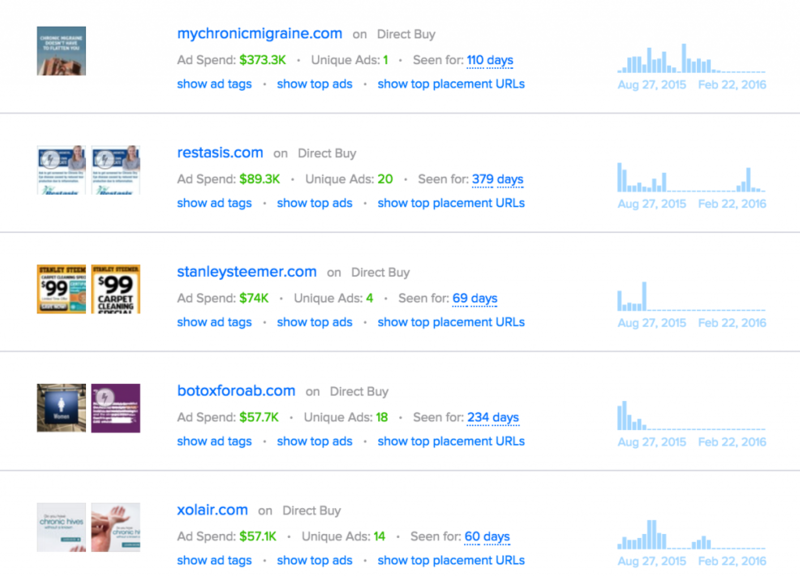 Lifescript has brought in an estimated $4,418,560 in ad revenue over the past six months. 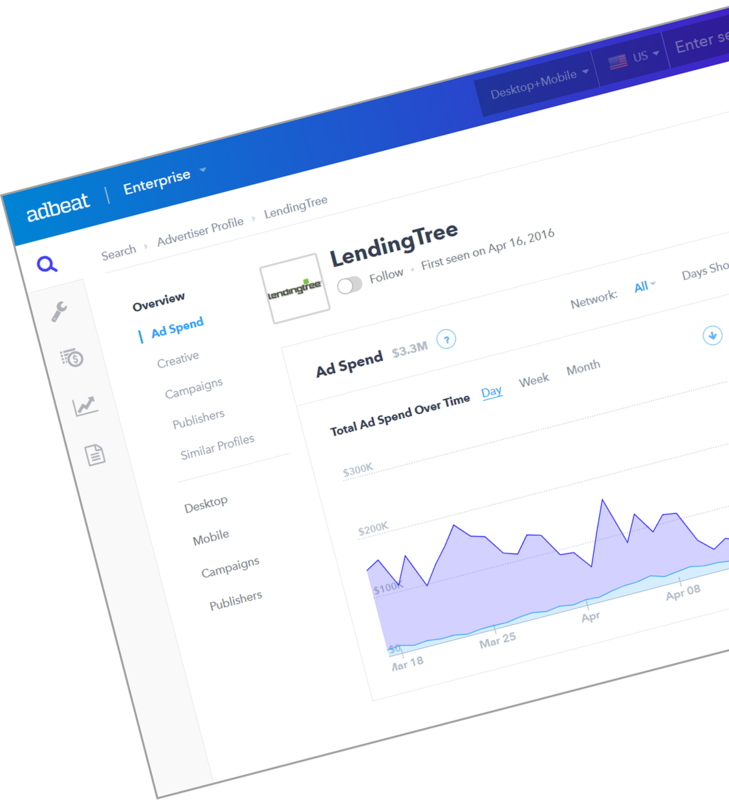 Lifescript brings in the most ad revenue through Direct Buys (when an advertiser buys inventory directly from a publisher). 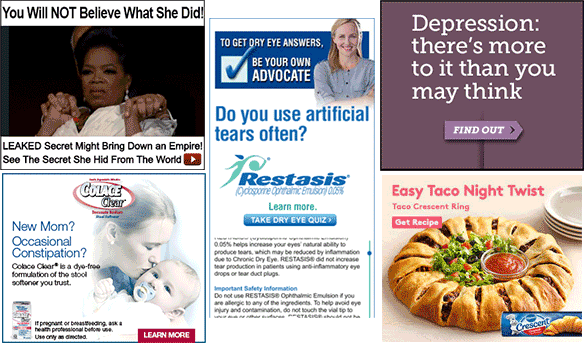 Advertisers on Lifescript use a combination of Direct Reponse ads (the Oprah ad), ads for prescription drugs, over-the-counter medicine ads, and (yum) Pillsbury Crescent Rolls. Four of the five top-spending advertisers on Lifescript in the past six months are all pharmaceutical drug companies. Restasis, Colace Capsules, Enbrel and brintellix are all prescription drugs. Many prescription drug companies buy inventory directly from Lifescript and the other publishers you’ll see in this blog post. 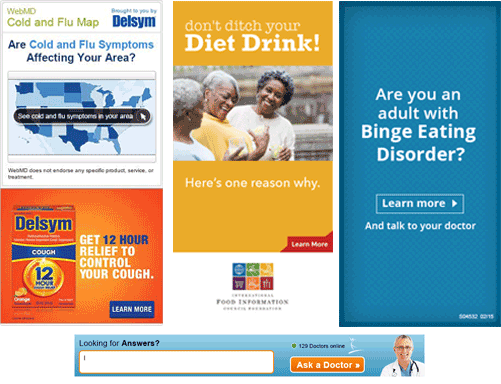 WebMD is the most well-known publisher. As of this post’s publication date, WebMD reports an average of 206 million unique users per month, and over 400 billion page views per quarter. 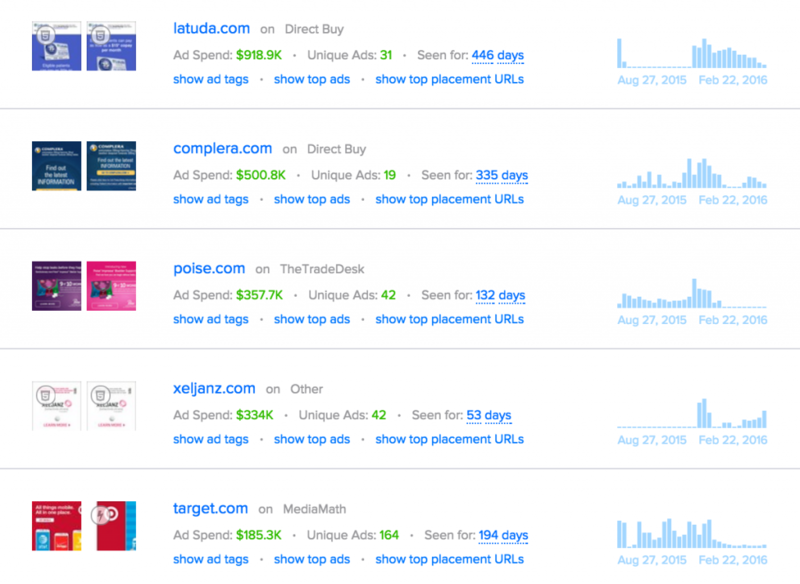 Adbeat estimates that WedMD has made $10,977,280 in ad revenue over the past six months. Most of their ad revenue comes from direct deals. 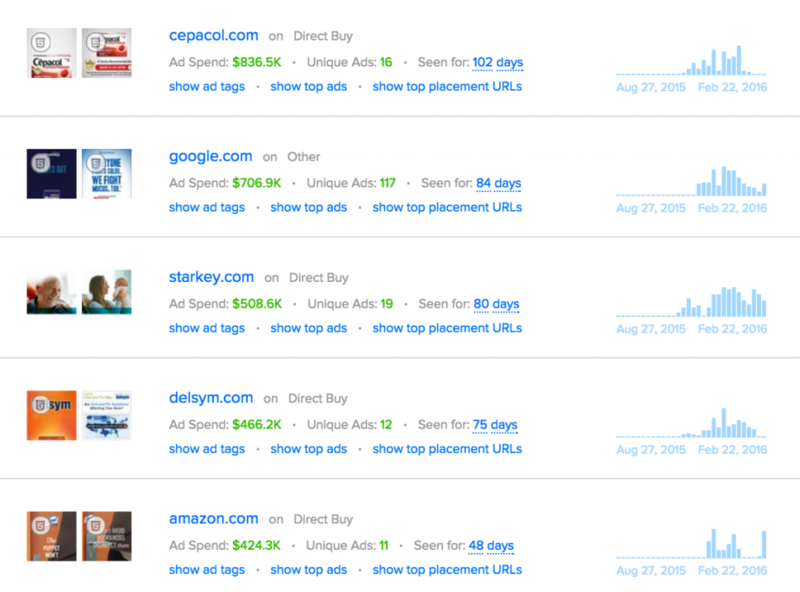 Like Lifescript, the majority of WedMD’s ad revenue comes from Direct Buys. The most seen creatives on WebMD are for over-the-counter medicines. There are also a few public service announcement style ads from drug companies and foundations. WedMD’s top advertisers are companies who sell OTC medicine. HealthCentral has brought in an estimated $1,386,240 in ad revenue over the past six months. Again, HealthCentral monetizes most of their traffic through Direct Buys. 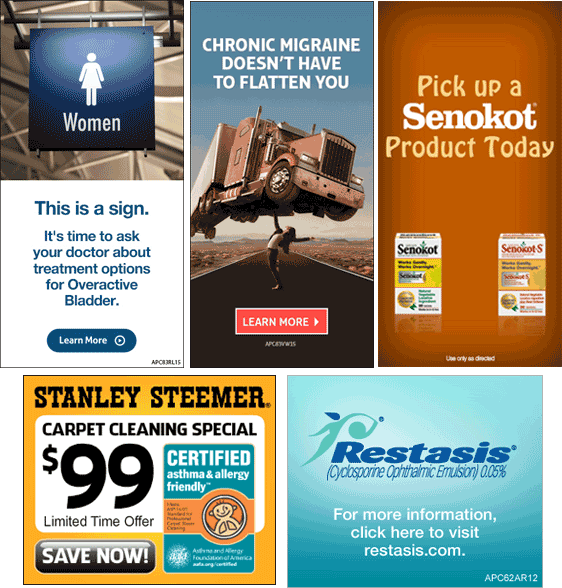 HealthCentral has advertisers from a few different markets. The one that sticks out the most is Stanley Steemer. We haven’t seen any other publishers in this blog post monetizing their traffic with home appliances or cleaning products. However, notice that even though Stanley Steemer does not sell prescription drugs, they still choose an ad creative that focuses on th efact that their products are allergy friendly. Prescriptio and over-the-counter drug companies are the biggest advertisers on HealthCentral. As you saw in the previous section, Stanley Steemer directly bought inventory from HealthCentral for a short period. Could health publishers be a good source of traffic for companies that sell products for the home? Maybe, maybe not. eMedTV brings in significantly less ad revenue than the other publishers featured in this post, but I wanted to give you an idea of how a smaller publisher monetizes their traffic. eMedTV has still brought in an estimated $194,272 over the past six months. The most seen ads on eMedTV advertise prescription drugs. 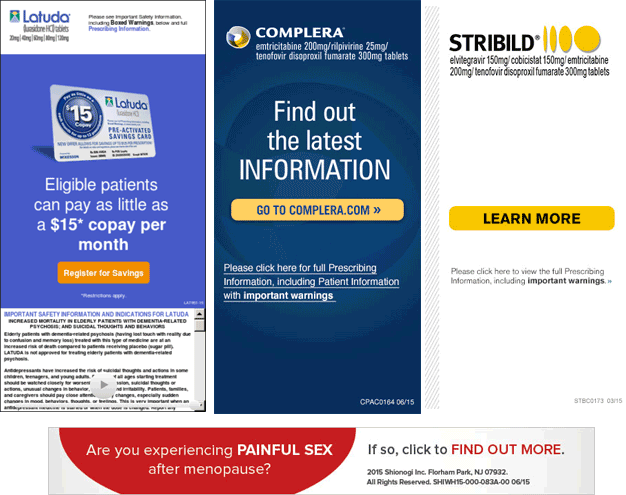 eMedTV has also managed to secure many Direct Buys with large pharmaceutical advertisers like Cialis and Strattera. This proves they have the potential to grow in this space. HealthLine has made an estimated $7,025,664 in ad revenue over the past six months. Their strategy is similar to Lifescript’s strategy. HealthLine makes most of their revenue through Direct Buys, but has also made a good amount on Taboola (Lifescript monetizes Native traffic through Outbrain). 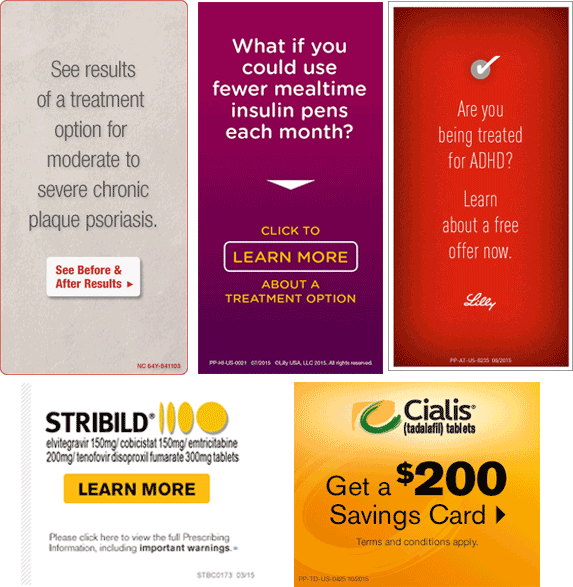 The top ads on Healthline are all for prescription drugs. You’ll see most of the same drugs being advertised across various publishers. This is the first sighting of a big box (Target) that we’ve seen in a publisher’s top five advertiser list. 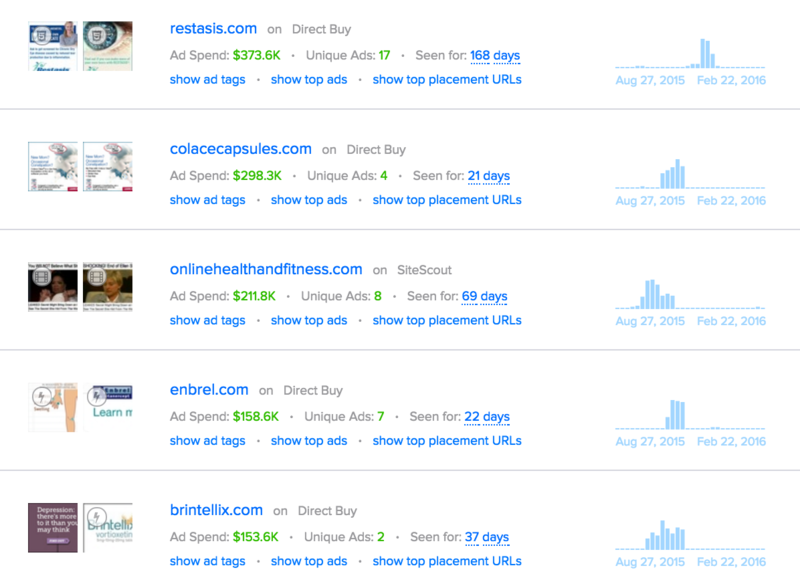 Direct Buys are the name of the game when it comes to monetizing traffic from sites related to health and wellness. A prescription drug company is a publisher’s dream. Drug companies tend to have lots of cash to spend on advertising, a desire for large amounts of traffic, and getting permission to advertise prescription drugs on Google and other ad networks can be difficult. 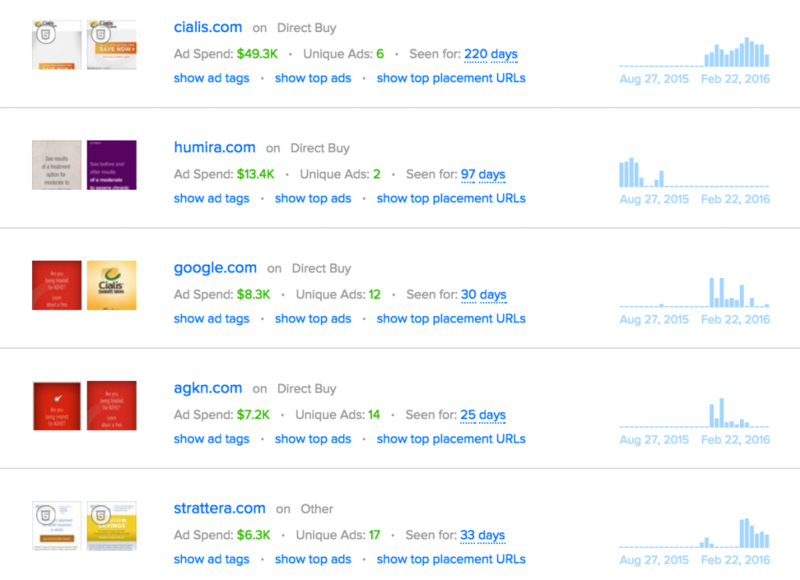 Hey Brad what are your recommended ad traffic platforms for B2B companies? If so does Adbeat cover them? Thanks.